Unincorporated areas are rarely talked about in City Planning education. As future city planners we focus on the land within the city boundaries. But what about those areas outside of the city, under the jurisdiction of counties? Sometimes the boundaries are not as clear as we think. I am currently conducting my City Planning Masters thesis research on an unincorporated community outside of Santa Rosa, California. The neighborhood—The Moorland Avenue community—is predominantly Latino and struggles with issues of poverty, inadequate infrastructure, lack of open space, gang activity, and limited access to public transportation. Last year, there was a police shooting of a 13-year old boy, Andy Lopez in a vacant lot along a residential street. This incident spurred protests and organizing for change in the neighborhood, and residents installed a make-shift park in the lot where Andy was shot. This month, with the support of an amazing teacher at Elsie Allen High School in Santa Rosa, I have been working with 11th grade students to collaborate on a participatory design and visioning process for the community. In upcoming posts, I will describe my sessions with the students, but first I want to provide some of the political and physical context of the area. 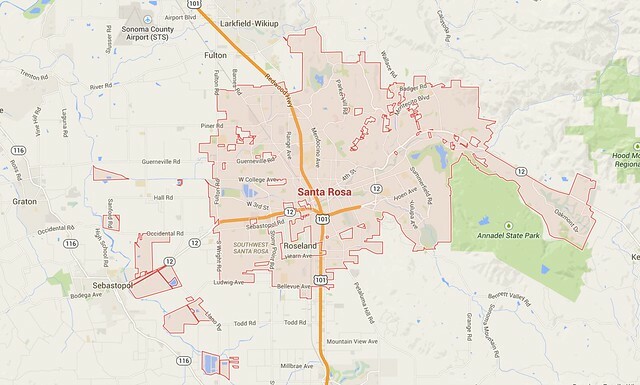 Santa Rosa was incorporated as a City in 1868, and quickly became the economic center of Sonoma County, California. Until about 1950, the city expanded its boundary slowly and regularly outwards from the downtown area. However, between 1950 and 1960, the City adopted aggressive annexation policies in response to the explosive suburban development occurring past the city’s edges. 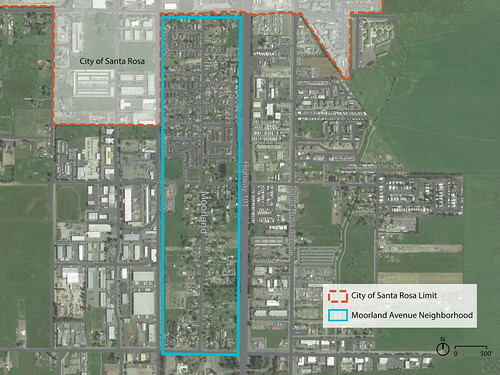 During this period, Santa Rosa annexed only the areas it deemed beneficial and economically profitable and left all other areas unincorporated. In order to capture property tax revenues, the city leaped past lower-income edge settlements to annex new suburban-style developments. Several people I have talked to described this annexation practice (now outlawed) as “cherry picking.” This left the city with an extremely irregular boundary, in which islands of incorporated areas sit well outside the main city boundary, and islands of unincorporated areas are completely surrounded by the rest of Santa Rosa. This history of unfair annexation practices has left pockets of unincorporated areas with limited public services, not only because the county does not have the resources to provide urban services, but also because the unincorporated “islands” are difficult to access. The Moorland Avenue neighborhood is what the County calls a “Fringe Island,” because it is surrounded by incorporated city on three sides. 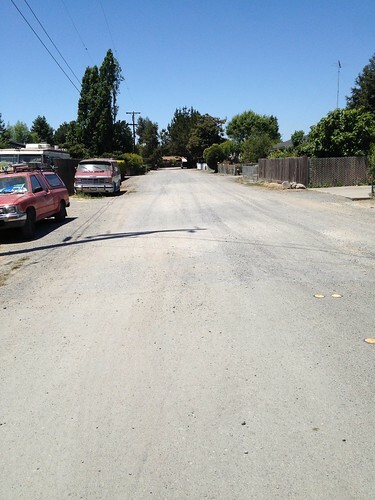 Moorland Avenue itself is paved, and parts of it have sidewalks, but some side streets are unpaved. One resident, Esther Lemus, told me she and her neighbors got together to pave their side street because the County did not respond to their requests. Other sections of Moorland lack sidewalks, streetlights, and have significant drainage problems, forcing residents to walk in the street on a daily basis. These are just some of the basic planning issues facing this community. The City of Santa Rosa is currently in the process of annexing the largest unincorporated island in the area—the Roseland neighborhood—in an effort to make the city boundary more regular. Unfortunately, similar plans are not in store for the Moorland neighborhood. In talking with County and City officials, they have made it clear that Moorland will not be annexed because it is a “drain” on the tax base. In other words the property tax revenue gained will not compensate for the cost to provide city services. My goal in the sessions with the high school students is to make them aware of these political issues, and work together to identify creative strategies to make their neighborhood a place they feel safe; whether it’s through petitioning and organizing for annexation, or engaging community-based design projects without the help of local government. Unincorporated areas face unique planning and implementation barriers, but I believe that community-based design and the power of young people can help overcome these institutional failings. I have no exposure to unincorporated areas so this post and the ongoing series is so eye-opening. Thanks for sharing it. I’m curious- In addition to the neighbors coming together to make needed fixes in their community are there organizations in the area focused on bringing people together to draw attention to the consequences of these areas remaining unincorporated? Thanks so much for the feedback and question! There is an independent State agency called the Sonoma County Local Area Formation Commission (LAFCO) http://www.sonomalafco.org, and their goal is to work towards a more equitable and coherent city boundary, though they are often constrained by bureaucratic issues. There is also a community organization called Community Action Partnership of Sonoma County (CAP) http://www.communityactionpartnership.com, who works on a broad array of equity issues that affect people in unincorporated areas, but they do not specifically discuss these issues in relation to the unincorporated status. 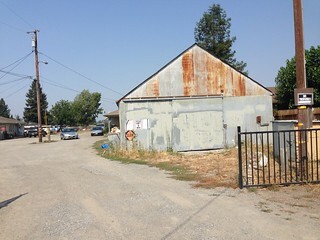 CAP was involved with a community planning process in Moorland, sponsored by the Sonoma County Health Services Department, last summer, but there was not much education around what it means for this community to be unincorporated, and how that might affect the outcome of planning efforts in the area.